It’s important to choose the right company when you’re looking for repair, installation, or maintenance of a crucial part of your home. 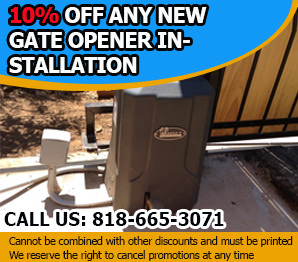 That’s why you need to know about “Gate Repair Calabasas”. Our company is the best in town. We’ve been operating in Calabasas for many years, and we’ve developed a reputation for quality service and excellent customer relations. Gate service is particularly tricky because when it’s under repair, your house is often inaccessible to vehicles, which is more than just an inconvenience in this day and age. Our professional repairmen have years of training and the know-how to solve your problem quickly, getting your system up and running and minimizing the time you’ll be inconvenienced. The flip side of this is that we don’t rush jobs – our staff is efficient, but thorough. We don’t cut corners, preferring to get the job right the first time. 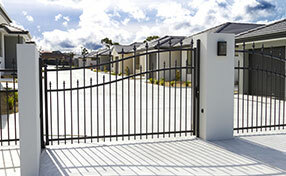 Our company also specializes in residential gate installation. We can upgrade your existing system, or overhaul it completely and install a brand-new one. Often, a brand-new system is the best bet, and we work with some of the best companies in the business to ensure that you get the best bang for your buck. Newer systems are more secure, and offer a wider variety of options when it comes to remotes and intercoms. Of course, intercom installation is part of the all-inclusive package when you sign up with our company. 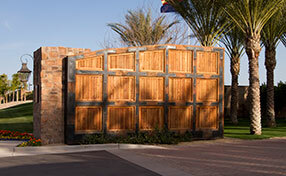 Gate Repair Calabasas guarantees satisfaction. We offer home inspections as well as our installation services, and we’re open for 24/7 emergency repair. It’s never too early to schedule a checkup and let our team of professionals catch problems before they start becoming a real issue. 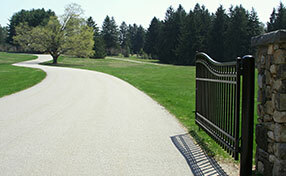 Even if your gate is working perfectly now, you should still call us today and get it checked out – we’re here to help.